It’s tax season! Time to gather up your income statement and other tax documents for VITA. UW-Eau Claire accounting students will once again provide free income tax return preparation through the Volunteer Income Tax Assistance (VITA) program, a special program of the IRS and the Wisconsin Department of Revenue. To qualify for the service, clients must have incomes of $54,000 or less. VITA volunteers will prepare and e-file tax returns; those with more complicated returns or questions will be referred to the IRS or advised to seek private professional assistance. Eligibility is determined on a case-by-case basis by the VITA volunteer. VITA services are provided by appointment. Students will be available to meet with clients from 9am to 4:30pm every Monday until April 9 at the Royal Credit Union Shopko South Office, 1049 W. Clairemont Ave., Eau Claire. No service will be provided on March 19 when the university is closed for spring break. • Social Security cards for taxpayer and all dependents. • Copy of last year’s tax return. • Child care provider information. • Rent certificates from landlord or property tax statement. • Financial institution’s routing and account numbers for direct deposit. • Forms 1095-A, B, or C, Affordable Care Act statements. To file taxes electronically on a married filing jointly tax return, both spouses must be present to sign the required forms. VITA volunteers cannot file married filing separately tax returns. 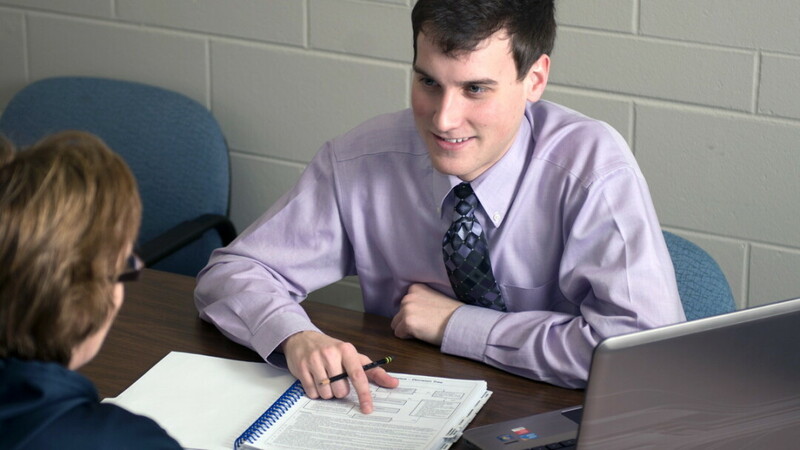 The UW-Eau Claire VITA program has been providing tax assistance for nearly 25 years. Last year, students prepared more than 800 tax returns, according to Brenda Thalacker, VITA coordinator in the UW-Eau Claire department of accounting and finance. To make an appointment, contact RCU at 1-800-341-9911. Nothing is certain in life, the old saying goes, but death and taxes. And we’ll admit that, under most circumstances, neither subject is very uplifting to talk about. They can be pretty boring topics, too: Skimming through a stack of IRS paperwork may make you wish you were dead, and that’s even before you find out what you owe. Nonetheless, both death and taxes – and the financial and legal intersection of the two – are critical topics for all of us. Making sure we’ve planned well, financially and otherwise, can ease our anxiety and make our lives more comfortable and fulfilling ... at least until the inevitable happens. Until then, you’ve got this guide.